Mumbai, which was the target of the terrorists last year. 1.All category of employees including those who had completed even1 day as casuals were treated on duty during the time the hotel wasclosed. 3.The relief and assistance was extended to all those who died atthe railway station, surroundings including the "Pav- Bha ji" vendor andthe pan shop owners. 4.During the time the hotel was closed, the salaries were sent bymoney order. 5.A psychiatric cell was established in collaboration with TataInstitute of Social Sciences to counsel those who needed such help. 6.The thoughts and anxieties going on people's mind was constantlytracked and where needed psychological help provided. 7.Employee outreach centers were opened where all help, food,water, sanitation, first aid and counseling was provided. 1600 employeeswere covered by this facility. 8.Every employee was assigned to one mentor and it was thatperson's responsibility to act as a "single window" clearance for any helpthat the person required. 9.Ratan Tata personally visited the families of all the 80employees who in some manner - either through injury or getting killed -were affected. 10.The dependents of the employees were flown from outside Mumbaito Mumbai and taken care off in terms of ensuring mental assurance andpeace. They were all accommodated in Hotel President for 3 weeks. 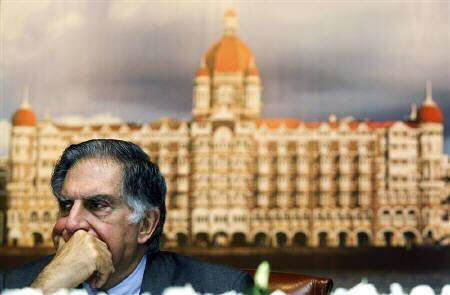 11.Ratan Tata himself asked the families and dependents - as towhat they wanted him to do. 12.In a record time of 20 days, a new trust was created by theTatas for the purpose of relief of employees. 13.What is unique is that even the other people, the railwayemployees, the police staff, the pedestrians who had nothing to do withTatas were covered by compensation. Each one of them was providedsubsistence allowance of Rs. 10K per month for all these people for 6months. 14.A 4 year old granddaughter of a vendor got 4 bullets in her andonly one was removed in the Government hospital. She was taken to Bombayhospital and several lacs were spent by the Tatas on her to fully recoverher. 15.New hand carts were provided to several vendors who lost theircarts. 16.Tata will take responsibility of life education of 46 childrenof the victims of the terror. 17.This was the most trying period in the life of theorganisation. Senior managers including Ratan Tata were visiting funeralto funeral over the 3 days that were most horrible. ·Complete responsibility of education of children and dependents -anywhere in the world. ·Full Medical facility for the whole family and dependents for rest oftheir life. ·All loans and advances were waived off - irrespective of the amount. 1.How was such passion created among the employees? How and whydid they behave the way they did? 3.It has to do with the DNA of the organisation, with the way Tataculture exists and above all with the situation that prevailed that time. 4. The hotel business was started by Jamshedji Tata when he wasinsulted in one of the British hotels and not allowed to stay there. by the rulers that time that he can acquire land for IISc to the extent hecould fence the same. He could afford fencing only 400 acres. 6. When the HR function hesitatingly made a very rich proposal toRatan - he said - do you think we are doing enough? 7. The whole approach was that the organisation would spend severalhundred crore in re-building the property - why not spend equally on theemployees who gave their life?